The Gypsy's Guide: Is it or is it not a Masterpiece? That is the Question. Is it or is it not a Masterpiece? That is the Question. I've written before about the problem of attribution in art. Is that new painting at the Kimbell by Michelangelo? What about the painting found in that guy's attic? And that crucifix? Museums all over the world stand to lose or gain notoriety and money when a work of art is attributed to a well-known artist -- or reassigned to a lesser-known talent. It's a complicated process, and I thought this article from The New York Times explains how it happens and why with some striking clarity. So enjoy! 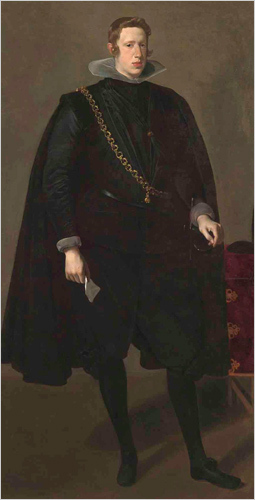 In 1973, a 1624 image of Philip IV was found to have been made by Velázquez’s studio, not the artist. A reassessment has reversed that conclusion.